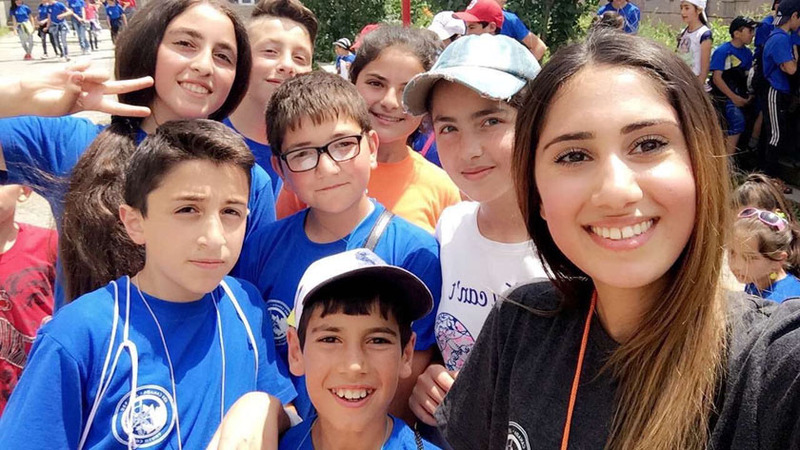 The Armenian Youth Federation (AYF) of Canada’s annual Youth Corps Camp Vanadzor started on July 10. Established in 2011, AYF Youth Corps Vanadzor Camp program encourages AYF members to strengthen their ties to their homeland and help improve the lives of those living there. This year, 17 AYF members from Canada and the US will be heading to run the seventh iteration of the free day camp for local children. The program is an annual free two-weekday camp for the local children of Vanadzor, the third largest city in Armenia. The AYF organizes this program and its members volunteer as counselors at the camp. The camp is a special experience for the children, who receive lessons in English, history, computers, health, democracy and human rights. The participants are provided with a daily lunch and a backpack full of school supplies. This provides a unique experience for the counselors as well, who organize the program and execute the planned curriculum to directly see the impact of their efforts on the community. Founded in 1934, the Armenian Youth Federation of Canada is the largest and most influential Canadian-Armenian youth organization in Canada, working to advance social, political, educational, and cultural awareness among Armenian-Canadian youth.